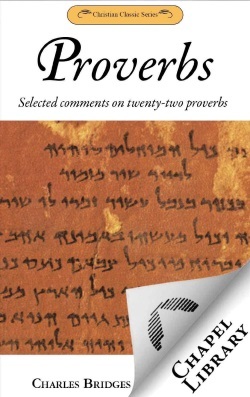 Bridges looks at 22 key proverbs in his book, helping us understand and apply these portions of God’s Word. Charles Bridges (1794-1869) was one of the leaders of the evangelical movement in the Church of England in the mid-1800s. He was Vicar of Old Newton, Suffolk, from 1823 to 1849, and later of Weymouth and Hinton Martell in Dorset. Bridges is known for both literary work such as The Christian Ministry and his expositions, which include Ecclesiastes and Psalm 119 as well as Proverbs.